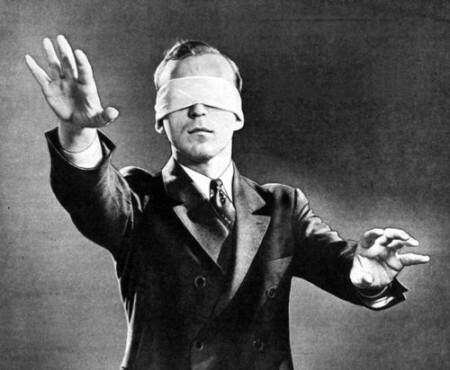 Whisky tasting Sessions is a blind whisky tasting run by Whisky-distilleries that is quite interesting because you taste strange and rare drams the way they should be reviewed: blind. 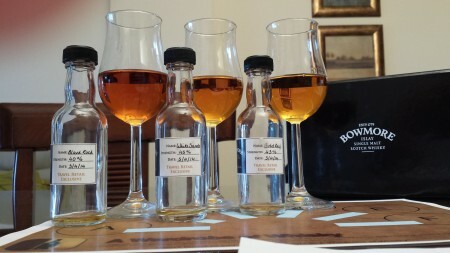 I have just realized that I still have to write about a few Whisky Tasting Sessions and one Rum Tasting Session. This is the 2014-01, and I have found a few quite good drams. Let’s review them and I tell you my favorite. Come on! You all know I love peat, what would you have done? I dropped my Caol Ila 29yo in the the bucked and moved to have a try of that under-the-table Laphroaig. Translated as Big Ocean, this unique expression is a celebration of the art of Laphroaig, with only the best batches hand selected by Laphroaig's distillery manager for their exceptional flavour. All have been matured in first-fill-only ex-American white oak bourbon barrels in their warehouse right next to the Atlantic. This whisky is then re-casked and left to sleep in the European oak until bottled. Nose (89): more than average. peat, wood, spices, honey, cloves, citrus. Palate (89): powerful, oily. peat, wood, liquorice, spices, vanilla. Finish (88): longer than average. peat, honey, spices. So based on other whiskies I have already tasted I rate this Laphroaig an Cuan Mor with 89 points over 100. As far as I know the Laphroaig Triplewood was a success and any step taken in that direction has been a good thing for the distillery… so I think it was natural for them to keep pushing. I personally prefer their younger simpler expressions like Quarter Cask or the 10yo Cask strength releases ( now NAS ). Master of Malt launched a few years ago a blended whisky called The Lost Distilleries Blend. 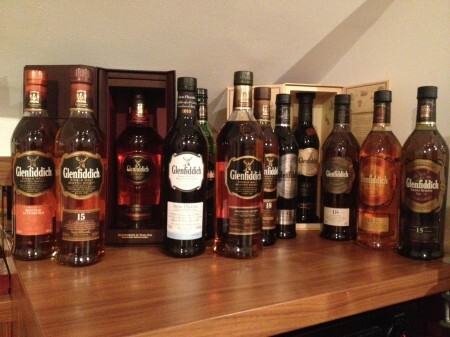 The idea is that the whisky is created, crafted, using malts and grain whiskies from silent distilleries. The list of closed distilleries of Scotland is a bit long but malts that can be obtained nowadays are Littlemil, Port Ellen, Caperdonich, Brora, Glenury Royal, … so the idea of creating a blended whisky with this is simply awesome. The second batch of this The Lost Distilleries Blend has recently won the World’s Best Blended Whisky at World Whiskies Awards ( or WWA for friends ) 2014. And this is no minor achievement, other years winners are whiskies like Hibiki 30 years old or Jameson Select Reserve. The recipe is undisclosed but let’s taste it and let discuss what it can be and how old you would say it is. Nose (91): more than average. floral, ginger, honey, citrus, vanilla. Fantastic nose. It is something quite familiar between floral and fruity but I can't spot it... maybe ginger but not sure. Palate (93): powerful, oily. floral, candies, parma violets, honey, citrus, wood, vanilla, spices. Finish (92): longer than average. floral, honey, spices, peat. So based on other whiskies I have already tasted I rate this The Lost Distilleries Blend - Batch 4 with 92 points over 100. Well, I have to say that I was expecting something like a crazy old Port Ellen and well… definitively this is not. The whisky has something old inside, around 20 or 30 years old and ex bourbon cask. It isn’t crazy old whisky and if there is sherry here it is in a little proportion. It has a trace of peat on the taste so it can has a tiny drop of Port Ellen or Brora… but due to the way it tastes I really think the main component here could be an old Littlemil. But who knows… have you tasted it? What do you think it could be? I have enjoyed each drop of it… certainly is a magnificent whisky. Yesterday Bowmore did a twitter tasting introducing their new (to me) Duty Free bottles: Black Rock, White Sands and Gold Reef. Ally Dickinson manned the twitter tasting with many fellow bloggers. One really interesting experience of this tasting was that it was paired with chocolate: little cocoa with crushed coffee beans and toffee filled chocolates. Ok, more Glendronach today… a 15 years old Tawny Port, a type of Portuguese Port wine. This whisky is aged in bourbon barrels and then finished in Port Pipes, a huge kind of cask. 70cl / 46% / Distillery Bottling - Introduced to the Glendronach range in 2011 the 15 year old Tawny Port finish continued the distillery's new owner's plans of taking the bourbon matured whisky from the old owners and bringing it more into line with their idea of the traditional taste of Glendronach. This one has spent the last few years of its time in cask in Tawny Port casks, picking up lovely red fruit flavours. Nose (89): more than average. honey, fruits, citrus, vanilla, apples, cinnamon, cocoa. Palate (88): powerful, oily. honey, wood, fruits, apples, citrus, spices, cinnamon, chocolate. Finish (88): longer than average. honey, citrus, cocoa. So based on other whiskies I have already tasted I rate this Glendronach 15 Year Old Tawny Port Finish Speyside Whisky with 88 points over 100.